Do you need to jump-start your health routine, but just never seem to find the time for it? A healthy BMI weight is between 18.5 to 24.9, yet more than 2 in 3 adults in the US are considered overweight. With all the gym memberships and vast variety of fitness memberships available, you’d think it would be easy to get on a fitness regimen and stick to it, but for most Americans that’s simply not the case. To help everyone fight the bulge, fitness wearables were created to help anyone stay on track with any type of fitness routine. What is a Fitness Wearable? A fitness wearable is a smart device you wear that helps you track your progress of physical activity while exercising and throughout the day. Fitness wearables may seem like an unnecessary expenditure, but when you see the impact they have on a person’s daily routine, it’s clear that they do help people live healthier lives. These wearable devices give you instant access to how you are performing, whether just walking around or doing an intensive workout. Many also have additional features such as built-in coaching or heart rate monitoring to ensure you get the most out of any workout. 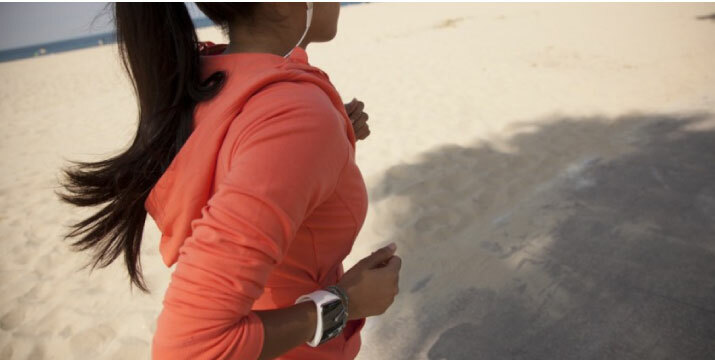 Fitness wearables require little setup time, with many that start working out of the box. For the majority of them you’ll want to enter your physical information, such as weight and height, as well as workout goals, such as to burn X number of calories per day. Overall, the more you customize the device, the longer it will take to fully setup. 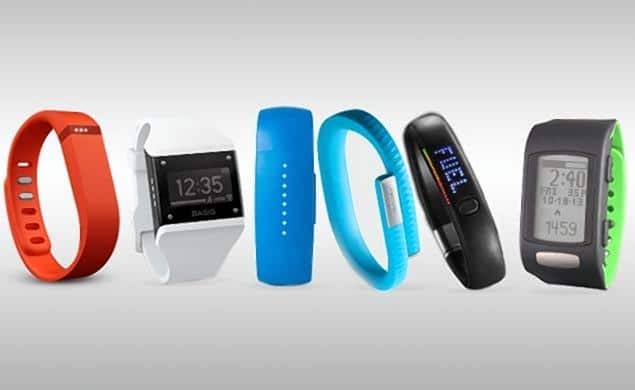 Depending on the features you want, fitness wearables range in price from around $50 to upwards of $450. If you’re just getting started with fitness wearables you can get one with all the features you need for around $100, but if you’re looking for something to really cater to your workout routine and provide extremely detailed insights into your performance you’ll end up paying more. Ready to take your fitness game to the next level? Check out these top fitness wearables by category below. 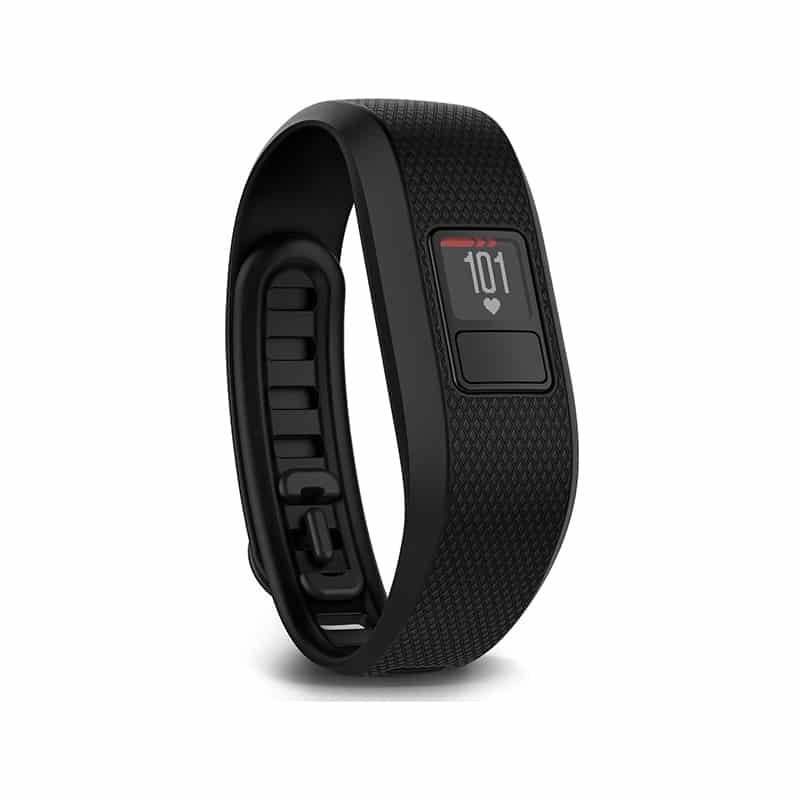 Discover what all the hype is about when you try on this #1 Best Selling Fitness Tracker. With over 6000 Amazon reviews, the prestigious status of #1 Best Seller in Activity Tracker on Amazon and multiple thumbs up ratings from the likes of CNET and PCMag, is hard to dispute the popularity of this particular fitness wearable. 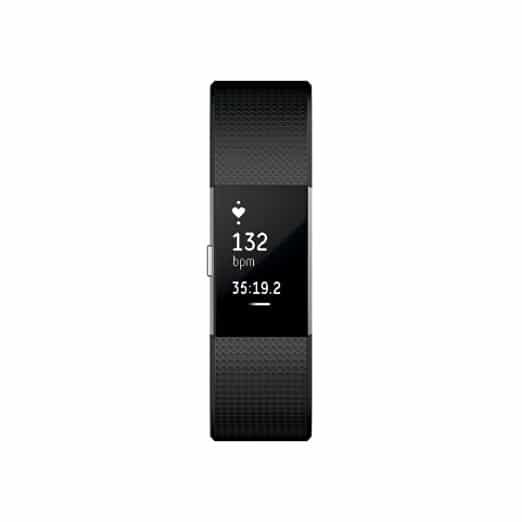 The Fitbit Alta Fitness Tracker has all the basic features you want in a fitness tracker such as tracking capabilities, along with the add-ons such as auto-sleep tracking, that make it a product truly crafted with the consumer in mind. Because it motivates you throughout the day and night, it’s an activity tracker that can provide the greatest benefits when worn 24/7, not just when you feel like jumping on the treadmill. The Fitbit Alta will help push you to achieve and even bypass your fitness goals by tracking all of your activity throughout the day including steps, distance, calories burned and active minutes, and even reward you with credit for your workouts through the Smart Track automatic exercise recognition, which picks up on when you’re participating in high-intensity physical fitness. The smart wearable device provides multiple alerts for things such as incoming texts, calls, and calendar notifications, along with handy reminders to get up and move when you’ve been stationary for a long period of time. At night, wear the device to better track your sleep and wake cycle, and if desired, even use the device as an alarm clock with the convenient built-in silent alarm. Finally, for anyone who may be hesitant to wear a ‘fitness’ device all day, the Alta features various interchangeable colored accessory bands, various clock faces, and comes in a slim, jewelry-thin shape. Read reviews of the Fitbit Alta Fitness Tracker on Amazon! If you’re looking to upgrade to one the latest models of fitness trackers on the market, you can’t go wrong with the Alta. It’s great for first-time wearable users, along with those who are simply looking to stay up to date with the most recent technology. It’s also best for those who view their health from a comprehensive point of view and wish to track their everyday activities and include them in their overall picture of their health, rather than those you just want a fitness wearable for their active gym time. 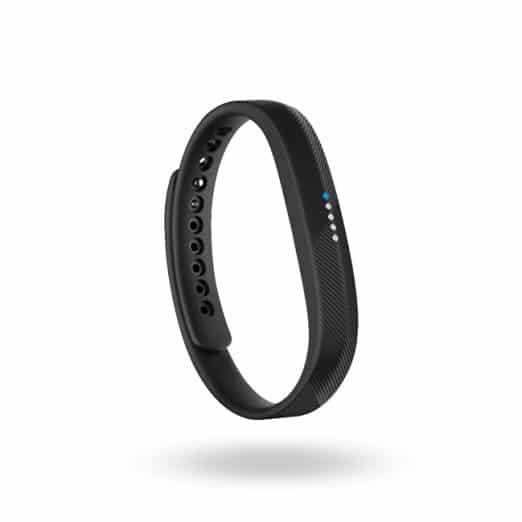 Invest in a newly redesigned version of the ever-famous FitBit Flex to get all the best features of a fitness tracker at an easy to digest price point. 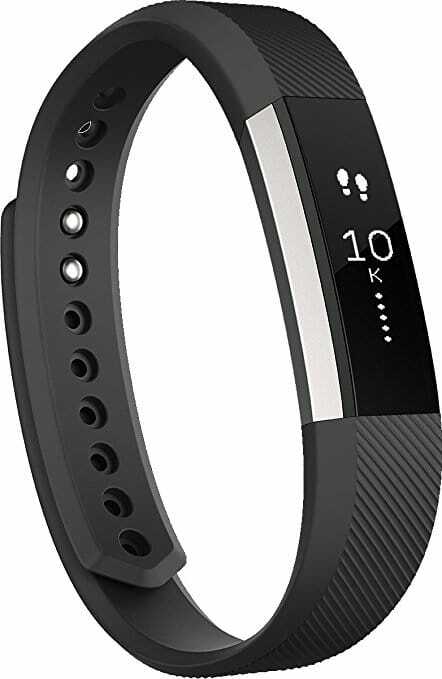 Nowadays there are so may ‘fitness trackers’ out there it’s not that hard to find one for less than $100, but to get the most bang for your buck, look no further than this new, and quickly growing popular FitBit model. The newly released FitBit Flex 2 is a revamp of the original model and now features a more stylish design that is simply the most customizable, and includes the most in-demand activity tracking capabilities. The Flex 2 is the slimmest band the brand has released to date, and, even better, the incredibly small fitness tracker itself, measuring only 31.7 x 8.9 x 6.8 mm and weighing in at a mere 0.83 ounces, can be completely removed from the band and placed in other bands, or in accessories such as bangles and pendants. This second release also comes with the features that are making waves in fitness wearables this year. The device isn’t just waterproof enough for basic showering, it’s water-resistant up to 50 meters, meaning you can swim and dive with it without any problems. The Flex 2 has a longer battery life than most always-on fitness trackers, lasting up to 5 days, or your entire workweek, before needing to be recharged. 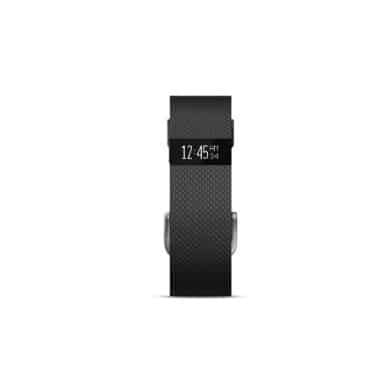 This FitBit model also has all the prized FitBit tracking features and functionalities that has made the brand a household name including all day tracking (steps, distance, calories burned, active minutes, hourly activity. and stationary time), built-in SmartTrack, to automatically recognize and track more aerobic exercise activities and provide exercise summaries in the Fitbit app, auto sleep tracking, allowing you to set sleep goals and bedtime reminders, inactivity reminders to move, and more. 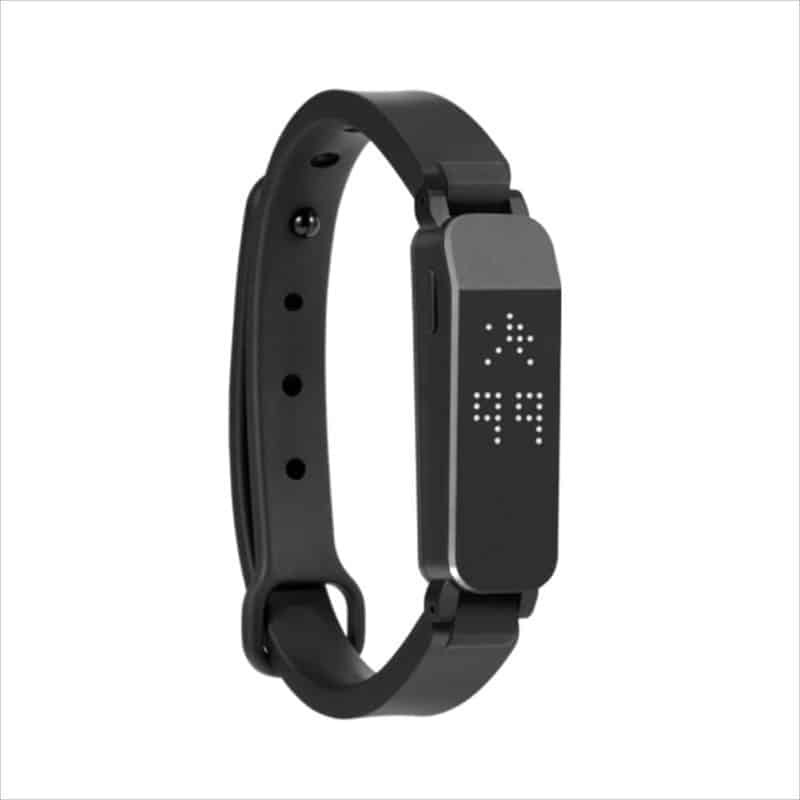 The fitness tracker is incredibly easy to use, as it features small led lights that keeps you abreast of how close you are to completing your daily goals, along with plenty of customizable and social features that can be accessed, set, and controlled when connecting the device to the popular FitBit App, which can be done automatically and wirelessly as the app works on over 20 iPhone, Android, and Windows devices. Reviewers love the slim band and mention that the fitness tracker feels incredibly lightweight rather than bulky or intrusive. 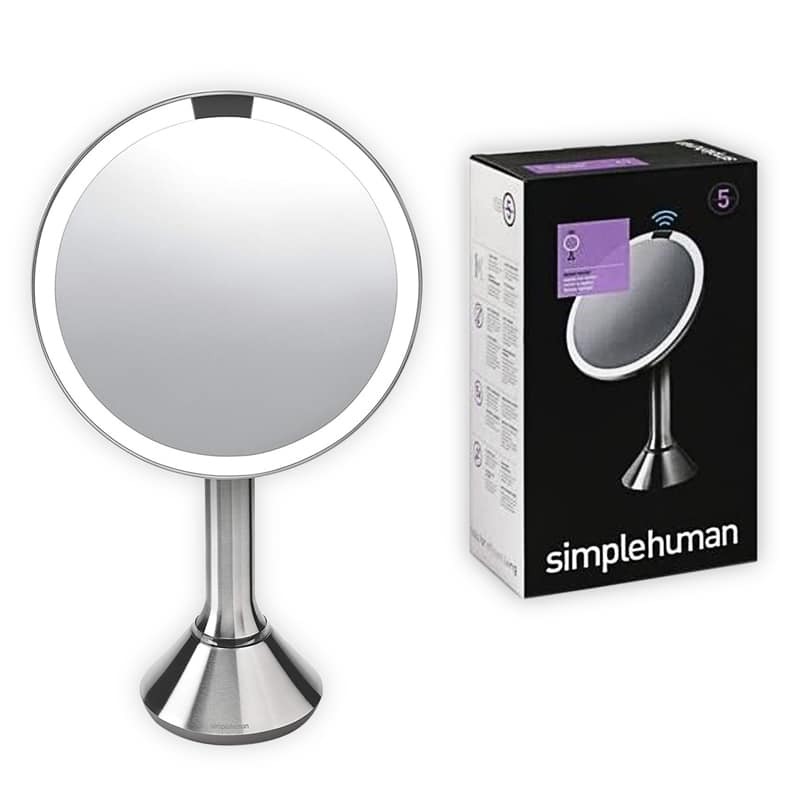 Once programmed, reviewers mention that it’s a set-it-and-forget-it product as the device is designed to work when it needs to on its own, such as by vibrating with texts and calls, and the handy reminder that motivates you to move every hour. Read reviews of the FitBit Flex 2 on Amazon! This fitness tracker is for the person who wants more insights into their daily activities, as well as motivation to become more active. It’s perfect for those who want a fitness tracker that adapts to their daily lifestyle, including shower and sleep times, as well as a wearable that can be adapted to their personal style, as the device can be worn as a pendant, bangle, or wristband. Explore the newest fitness wearables that look like regular wrist watches but secretly help you with your fitness goals. It’s understandable, we don’t always want to be sporting a fitness wearable that looks like a piece of jewelry, and that’s where the more watch-looking activity trackers come into play. The Samsung Gear Fit2 Smartwatch has more of the traditional design of an everyday watch with its thick band and large, easy to read curved full-color Super AMOLED screen. But the aesthetics of the smart watch are just the beginning as this Samsung fitness wearable is jam-packed with multiple features and goes above and beyond your typical activity tracker. 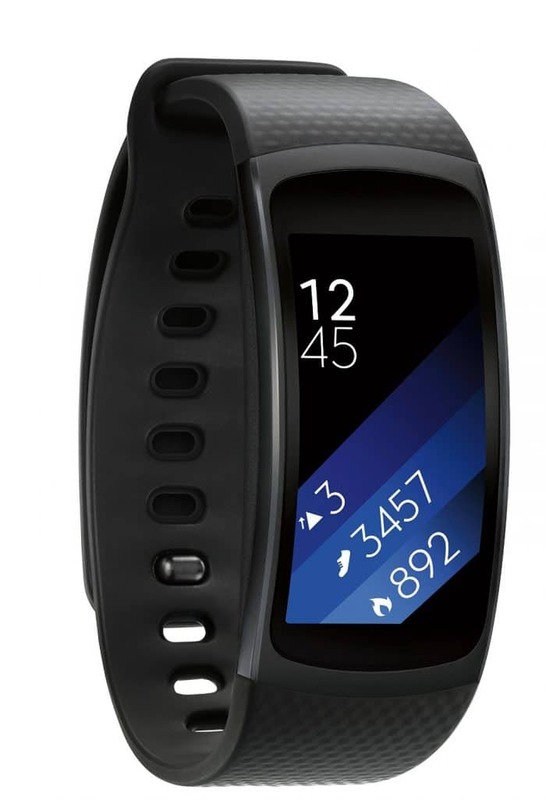 The Samsung Gear Fit 2 uses a range of precise sensors to carefully monitor your various activities including steps taken, calories burned, heart rate, and sleep quality, as well as automatically identify different types of physical activities such as running, cycling, using an elliptical, or allows you to input your activities such as yoga or pilates. Ideal for runners, the fitness wearable tracks your running route, distance, and speed, all in real time using the built-in GPS, allowing you to leave your phone at home and check your running progress with daily on-screen activity summaries. The fitness wearable is compatible with most Android smartphones and easily connects to your phone allowing you to control Spotify or store your own music. 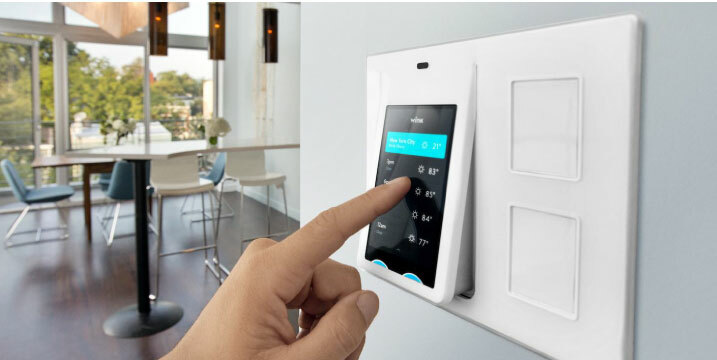 While synced, also receive and respond to calls, texts, and notifications when your phone is in Bluetooth range. Finally, the fitness tracker features a water-resistant design, meaning sweaty or rainy workouts are never a problem and can be easily charged with a convenient charging cradle, which gives the device a single charge for up to three to four days. 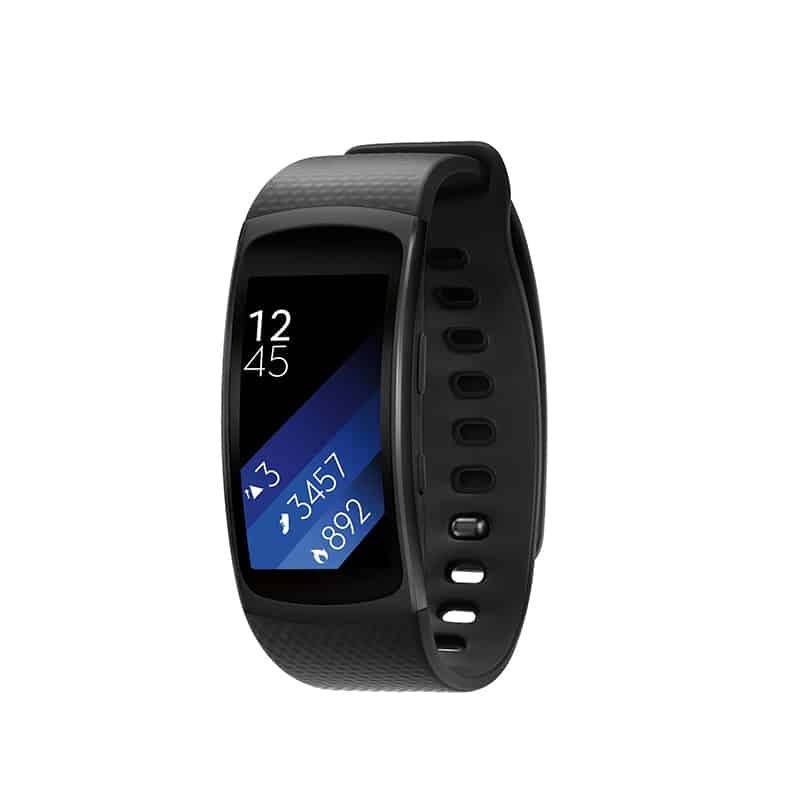 Over and over reviewers state that this Samsung fitness wearable has been a regret-free purchase, highlighting the magnitude of features and capabilities built-in. Others state it’s appropriate for the price point, suggesting features such as heart rate monitoring would be handy to have, but understandably may cost more. Read reviews of the Samsung Gear Fit2 Smartwatch on Amazon! The Samsung Gear Fit2 is for the person who wants an upgrade from a standard fitness tracker to something more full-featured. 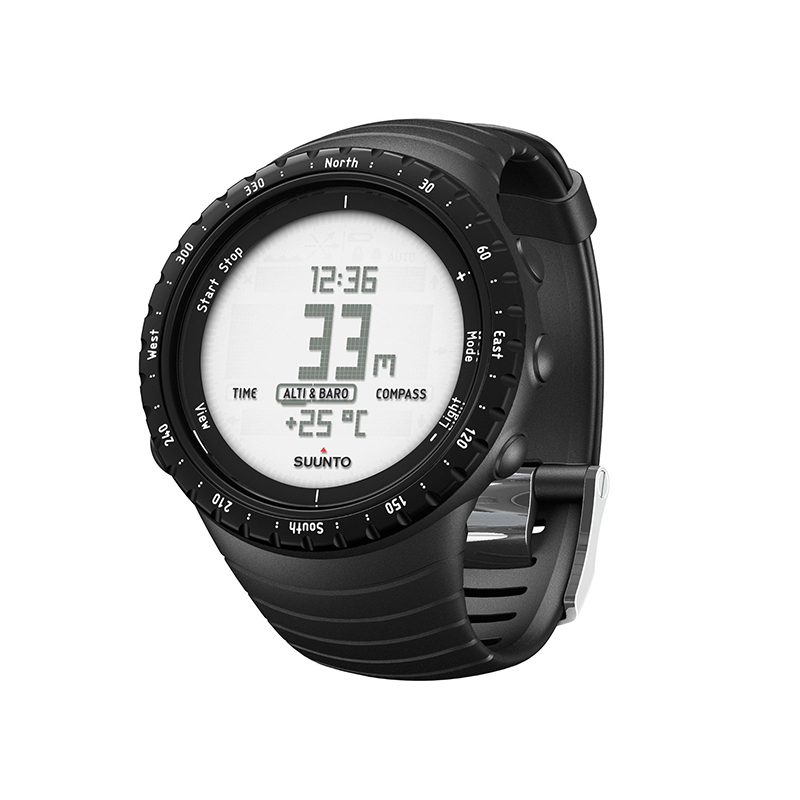 With so many outdoor use capabilities, the watch is best suited for those who are active outdoor enthusiasts. 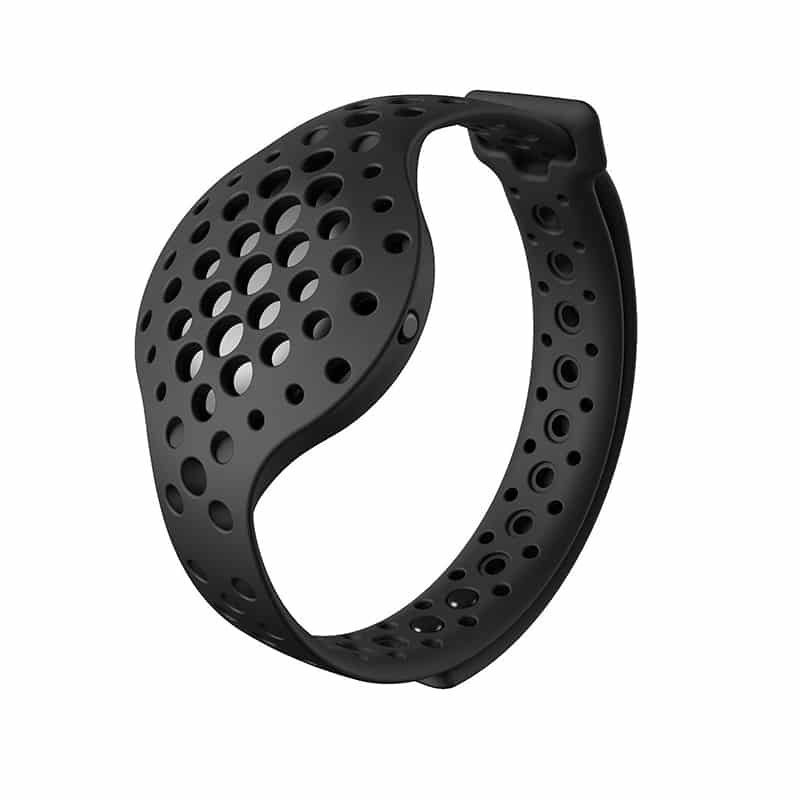 Enjoy the added benefit of heart rate monitoring directly from your wrist. Until just recently, you could have the best fitness tracker in the world, but you would still need to wear a heart rate band or other secondary device in order to get accurate heart rate data. Heart rate monitoring from the wrist with a wearable is difficult to do, and for years even the most advanced smart device fitness enthusiasts would still need to tote another product to get real-time heart rate data. But now, with these new fitness wearables designed with heart rate monitoring in mind, the secondary devices are becoming a thing of a past. These devices give you continual and clear heart rate monitoring data, which helps you improve your workouts. The FitBit Charge 2 is a wrist-worn heart rate monitor and fitness tracker in one. Designed with a large OLED screen with tap display and available in a handful of different stylish color options, the fitness wearable features multi-sport tracking capabilities, a built-in GPS, call, text, and calendar alerts, and even guided breathing sessions. 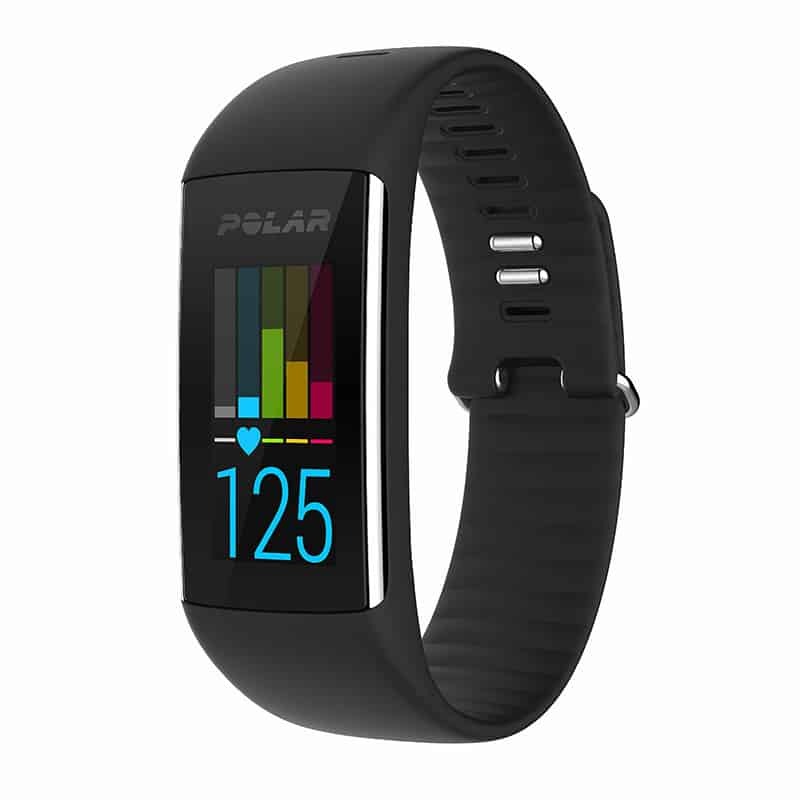 While it obviously checks the boxes on all the fitness tracker necessities, the standout feature of this sports wearable is the PurePulse heart rate feature, which allows you to continuously track your heart rate directly from your wrist to maximize your workouts, gain a more accurate picture calorie burn and a comprehensive overview of your health. This FitBit-specific heart rate technology also provides custom Cardio Fitness Levels, which is an estimation of your VO2 Max (the maximum amount of oxygen your body can use when you’re working out at your hardest) — widely accepted as the gold standard measurement of cardiovascular fitness – while the connected app shows how you can make changes in your fitness routine can help improve your cardio fitness over time. Routinely checking your heart rate doesn’t just help you meet your health and fitness goals, it also helps you optimize your exercise time by showcasing your heart rate zones throughout your workout, reach weight loss goals easier by providing a more accurate calorie count, and specifically with this model and the guided breathing sessions based on your heart rate, can help you better manage stress. Reviewers rave that the FitBit Charge 2 is an upgraded device that is worth every penny to upgrade to, if you’re currently using an older FitBit model. 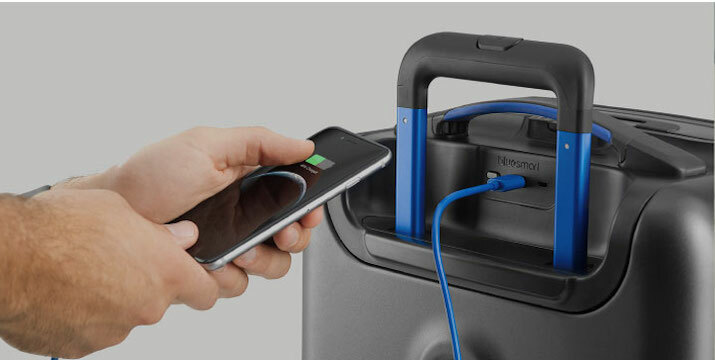 Customers also love the bright screen, longer charging cable, and the sturdy, thick band, all of which improve the overall quality of their purchase and the product itself. Read reviews of the FitBit Charge 2 on Amazon! If you have the original FitBit Charge, this is one upgrade that’s pretty much a no-brainer. Alternatively, if you are new to fitness trackers or looking to switch to one that better helps you with your workouts, the Fitbit Charge 2 will more than meet your needs, as you’ll find the precise heart rate tracking to provide a major boost to your health and fitness routine. 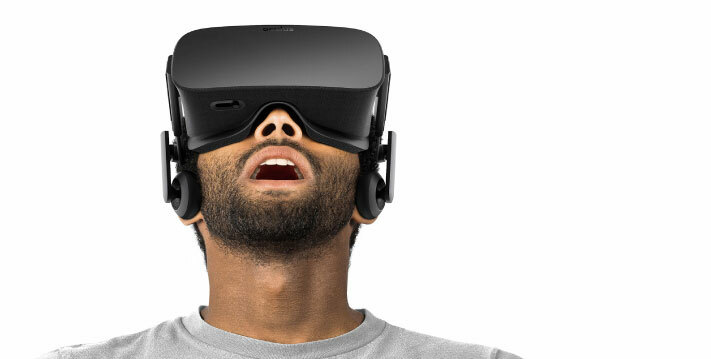 These fitness wearables do more than just track, they actually actively help you train. Fitness wearables used to be simple tracking devices, but have now advanced as far as to help you with your training in other ways. Like the digital alternative of a personal trainer, these smart devices have built-in coaching in addition to all the tracking and activity monitoring you need for an excellent workout. With built-in, customized coaching available you can reach your fitness goals even faster as the device becomes an incredible motivator. Use these devices to get your best workout every time, without ever paying for a personal trainer. The Garmin VivoFit 2 is more than an activity tracker, it’s closer to a virtual personalized fitness instructor worn on your wrist that takes you one step closer to your fitness goals every day. The smart fitness wearable actually ‘learns’ your current activity level, and assigns attainable daily goals, which adjust daily based on how well you meet the previous day’s goal. The device also encourages you to be more active throughout the day by displaying a red move bar and optional gentle alert sound or vibration after one hour of inactivity along with additional segments that light up for every 15 minutes of inactivity. 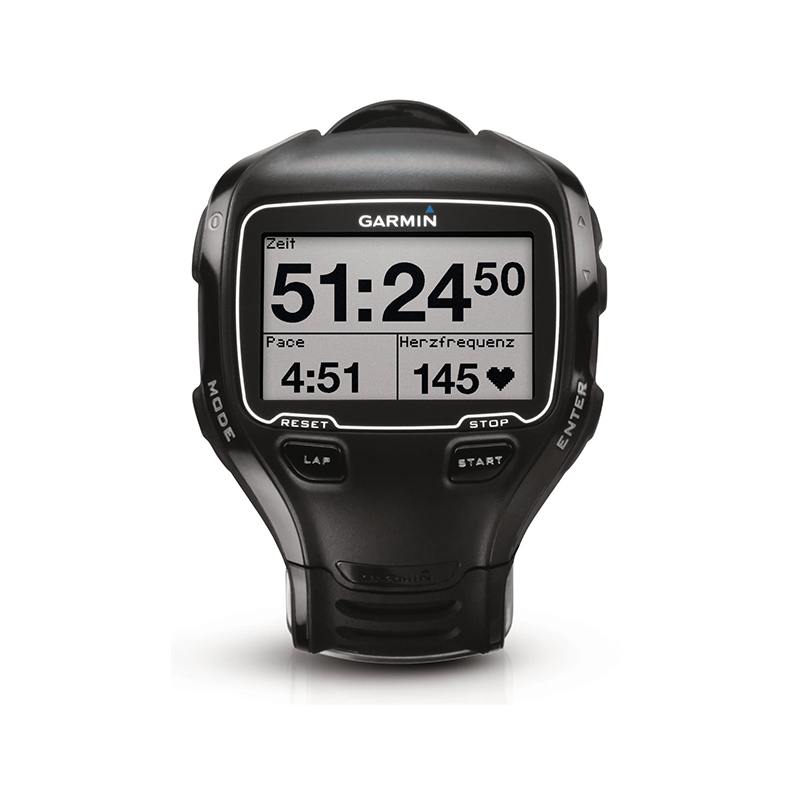 The smart wearable automatically syncs to Garmin Connect for additional personalized training. Through the app you get a complete picture of your progress, can join online challenges, and earn virtual badges for your accomplishments. 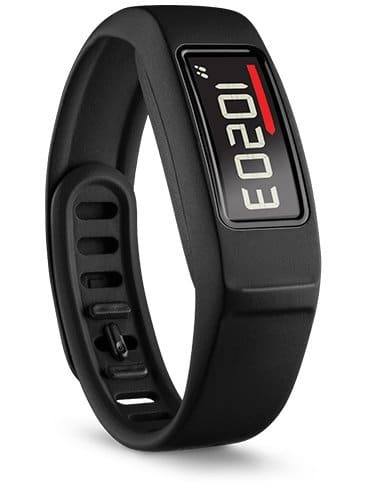 Reviewers love the personalization that is built into this fitness wearable along with the added bonuses the device comes with, such as that it doesn’t need to be recharged and it’s waterproof (to 50 meters). 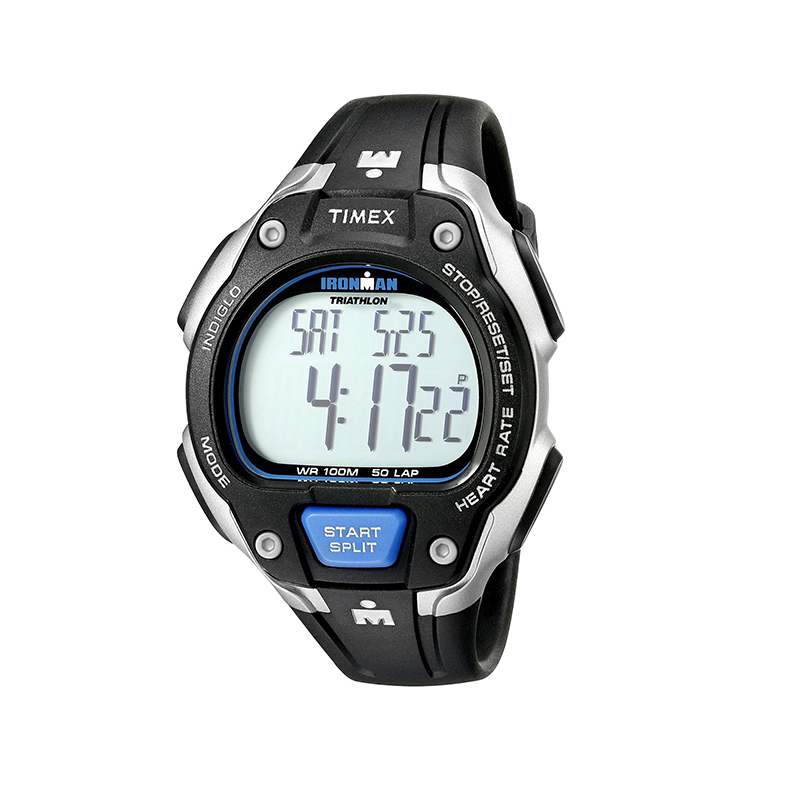 Others comment they have made the switch from FitBit to Garmin with this model and there is simply no comparison. 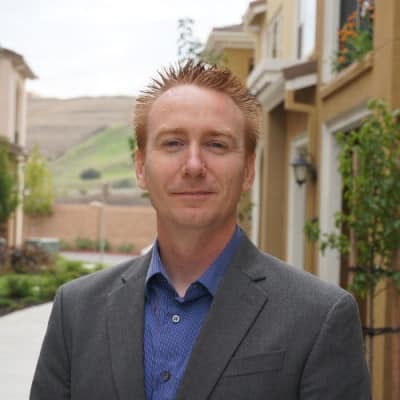 Some reviewers do state the syncing capabilities can be hard to setup and manage, which may be a turn-off for those consumers who want something completely turnkey. Read reviews of the Garmin VivoFit 2 on Amazon! This device is for the person who really needs that personal touch of one-on-one training, but doesn’t want to pay for a personal trainer. Those who love add-ons and extra features, such as Garmin Connect, will also be pleased with this product. 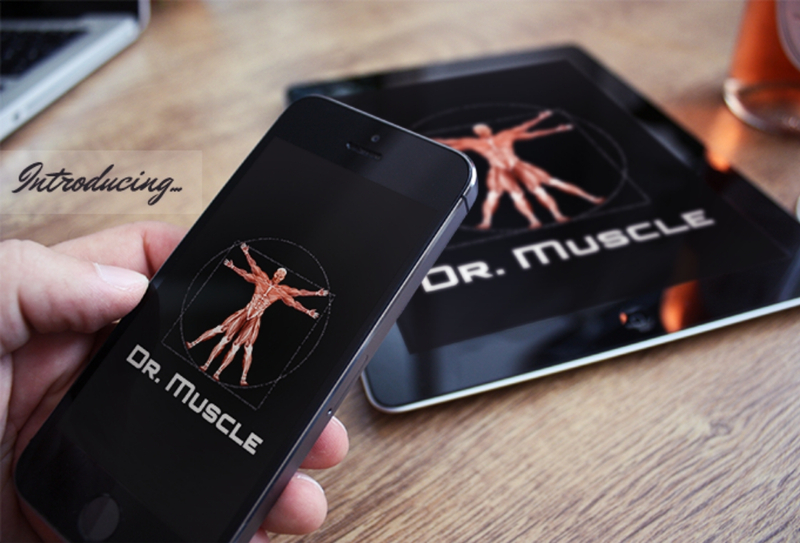 Get the most top-of-the-line functionalities with feature-filled fitness wearables. Some fitness wearables are great at doing one thing, such as monitoring heart rate, but fall short when it comes to other useful functions. If you’re looking for a smart athletic device that does it all, stick to the most feature-filled fitness wearables. These devices won’t leave you reaching for another device during your workout and because they have so many functions built in, you won’t have to worry about any overlapping, contradictory data. Instead, you’ll get a fitness wearable that simply does it all, and allows you to view it all on one screen. The Garmin Fenix 3 HR is the fitness wearable that offers true value and performance, along with rugged, capable and smart style. 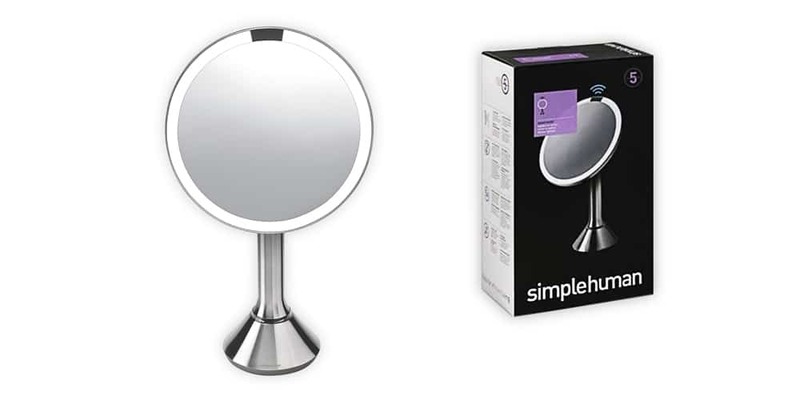 The omni-directional stainless steel EXO™ antenna, with GPS/GLONASS satellite reception, is able to track in more challenging environments than GPS alone, while the outdoor navigation features including a 3-axis compass, altimeter, and barometer and TracBack®, this devices can function at peak performance during even the most intensive activities. Moving down the impressively long list of high-tech features, Garmin Elevate Wrist Heart Rate Technology measures heart rate at the wrist, while the VO2 max estimator analyzes your activity data, such as running speed, beats per minute, and heart rate variability, to the maximum volume of oxygen you can consume per minute. Also included in the oxygen measurement features is a recovery advisor with a recovery timer and recovery check, and a race predictor to estimate your ideal finish time based on your current VO2 max number. The smart fitness wearable is suitable for a handful of diverse fitness activities, and even has specific modes for swimming, rowing, golfing, and ski and snowboarding, each with intuitively designed metrics to measure what matters most in each activity. 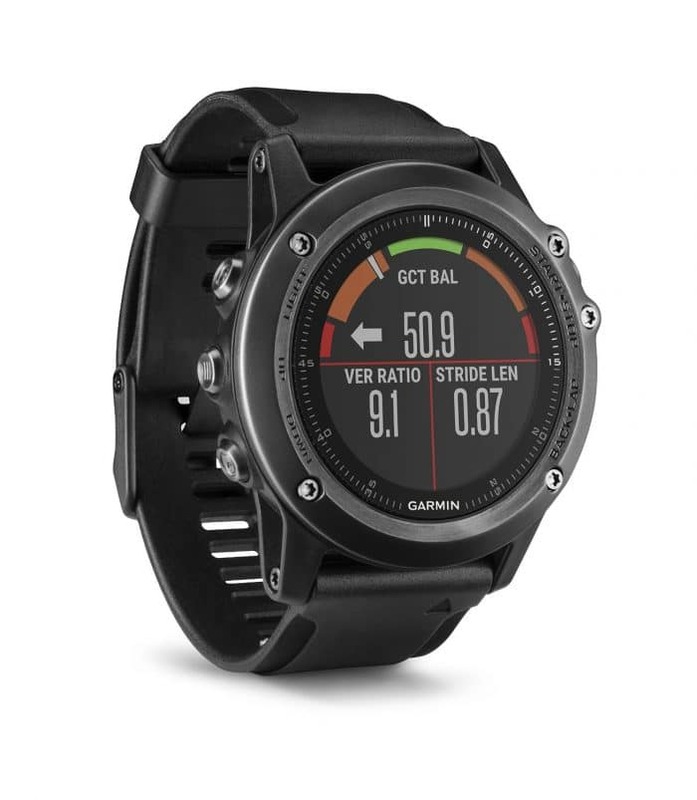 The Garmin Fenix 3 HR is especially ideal for running and aerobic activity, as it provides advanced running dynamics and physiological metrics including vertical oscillation and ratio, ground contact time and balance, cadence (number of steps per minute), stride length, and stress score. Finally, you can fully personalize your training experience with Connect IQ, which allows you to pick from a variety of downloadable watch faces, data fields, widgets, and activities, when the smart wearable is paired with a compatible smartphone. Reviewers claim the Garmin Felix 3 blows other fitness trackers out of the water with all the built-in features that provide a broad range of uses. Although reviewers love that it’s feature heavy, some have cited the device itself is rather heavy, or bulky, while others have cited issues with the altimeter. 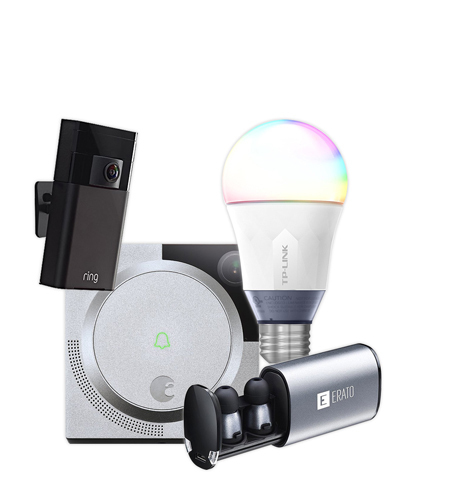 Overall reviewers are impressed with the product and highlight that its range of functions and features are not just industry-leading, but also well worth the price tag. Read reviews of the Garmin Felix 3 on Amazon! With so many different modes, features, and functions, consumers who participate in a wide range of physical activities, or those who change up their workout will see the most benefit from this fitness wearable. 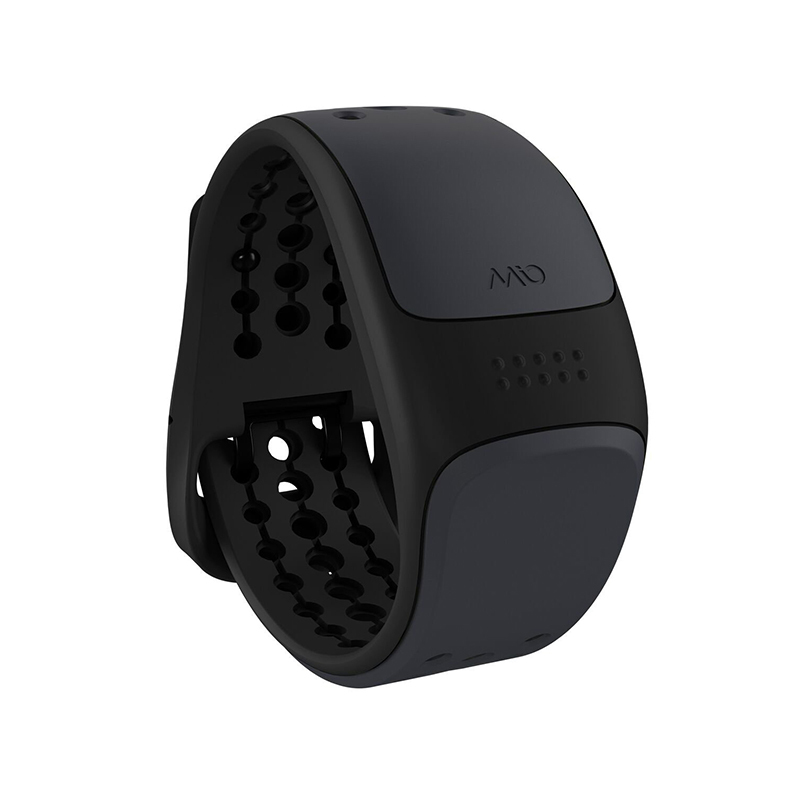 With the built-in sports modes and advanced endurance tracking, it’s especially ideal for those who want personalized training data and actively partake in swimming, rowing, golfing, snowboarding, skiing, running, or hiking fitness activities. No matter which you choose or how active you are at the gym, getting and using a fitness wearable is a great way to improve your overall health. Many owners are 24/7 wearers of these devices which help them stay on track of their day to day activity and fitness goals. 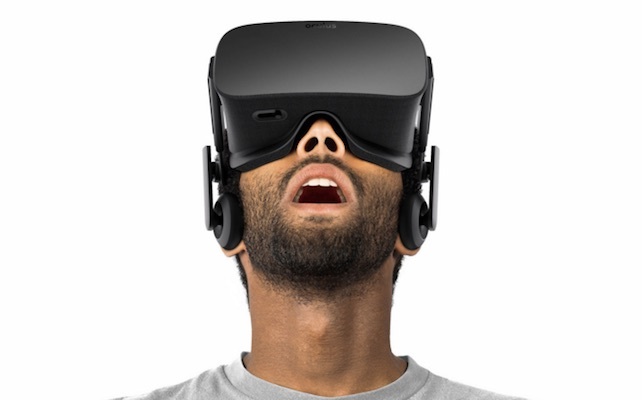 The devices are so popular now it’s not uncommon to get or receive one as a gift. With something so simple that it’s merely worn around, but packs such great benefits, it’s hard to find a reason to not invest in a fitness wearable. Do you own a fitness wearable that fits into one of these categories or a new one? Let us know below!